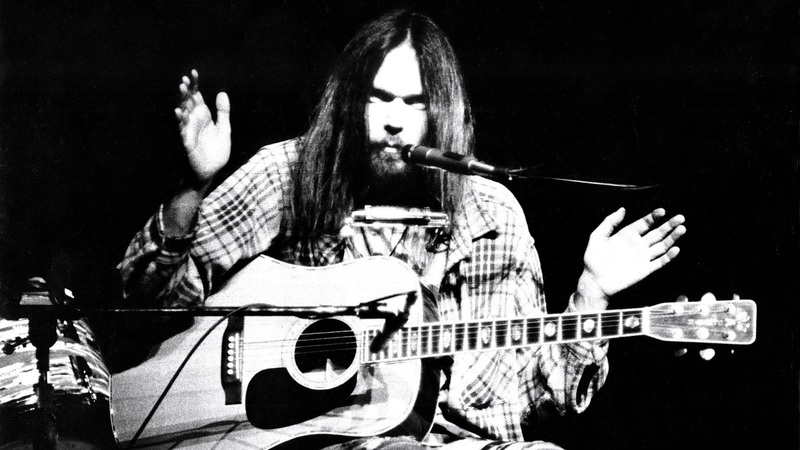 Neil Young is a Canadian icon. Regardless of how you feel about his music, there is no doubt that his contributions to popular music have secured him a place in the history books. He was a founding member of Buffalo Springfield, he wrote many of the hits for Crosby, Stills, Nash & Young, such as "Helpless", "Ohio", and "This Old House". 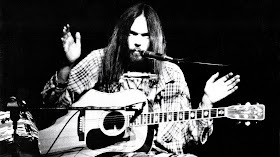 His solo work, however, has surpassed his work with other artists. Harvest is, without a doubt, one of the best albums ever recorded. It's easy to take the album for granted, since we're so used to hearing it, but listen to "The Needle and the Damage Done" or "Old Man" as though it was your first time, and you can't help but be impressed by Young's songwriting prowess. 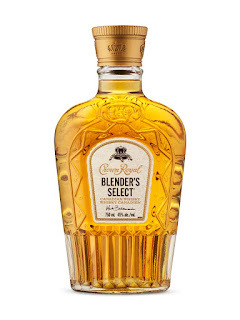 Crown Royal Blender's Select might be the Neil Young of the Canadian whisky world. Crown's signature blend Crown Royal Deluxe is so ubiquitous, that it's easy to take it for granted. But what happens when you remove on of the key components and allow that component some time in the spotlight on its own? For all the negatives associated with being a whisky lover in Ontario (absurdly high prices, limited selection, etc.) there are some perks. Being a huge market in Canada, we sometimes get whiskies not offered to other Canadians, or to Americans. J.P. Wiser's Dissertation, one of my favourite whiskies of all time, is readily available here (albeit in a limited-edition run) while it is much harder to find in other jurisdictions. Crown Royal has also released whiskies in Ontario that aren't readily available everywhere else. 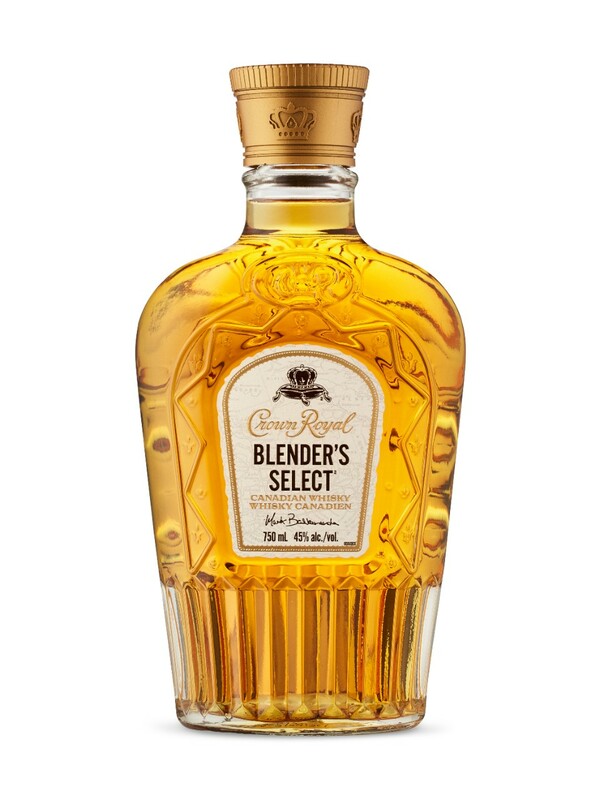 Crown Royal Blender's Select is an exclusive release at the LCBO and is a vatting of 9 year old rye whiskies and 7 year old rye whiskies from the famed Coffey Still in Gimly, Manitoba. Note that the Coffey still is named for the Irishman who improved the column still (Aeneas Coffey) and has nothing whatsoever to do with Tim Horton's or Starbuck's. The Coffey rye was aged in Virgin oak barrels, for more of those vanilla, toffee and caramel flavours. This whisky is produced from a mashbill (grains cooked and milled together before distillation) which is different for Canadian whisky. Canadians usually cook, mill, distill, and age each grain whisky separately and blend before bottling. The mashbill here is 64% Corn, 31.5% Rye, 4.5% Malted Barley, according to Jason Hambrey of In Search of Elegance. The Blender's Select is a type of rye whisky that is often used in other Crown Royal products. Mark Balkenende, Master Blender for Crown Royal, said on a recent podcast that there are five types of whisky that make up Crown Royal Deluxe. The Coffey Rye is one of the key "flavouring whiskies" used. It's rich and flavourful, and it's the star of the show here. Blender's Select is the Coffey Rye's solo album. Finish: medium length, sweet, yet still drying at the tail end, a hint of white grape juice, banana, and a bit of rye and oak tannins return. With water, the banana notes become much more prominent with some hard toffee and milk chocolate making an appearance as well. I found the banana notes overwhelming with water added, so I prefer this one neat. I feel as though this whisky is best served as an after-dinner sipper, in lieu of a dessert. Crown Royal is catering more and more to the "sipping whisky" crowd. Its Northern Harvest Rye remains, in this writer's opinion, one of the best values in whisky anywhere. Blender's Select is something different. You've undoubtedly tasted it before, albeit not in its pure form. Blender's Select is a very good sipping whisky, though it treads perilously close to the "too sweet" line for me. I think it would work brilliantly in a cocktail like the Old Pal, where its sweetness would be offset by the bitterness of the Campari and the dry Vermouth. How does one make an Old Pal? Mix equal parts Crown Royal Blender's Select (or any other bourbon or rye whisky), Campari and Dry Vermouth in a mixing glass filled with ice, stir for 20-30 seconds and strain into a cocktail glass. Garnish with a lemon twist and voilà! An Old Pal. Try it and let me know what you think. As for the whisky itself, I have at least one not-so-minor quibble: I'd love to see it sold at cask strength. I appreciate that 45% ABV is higher than the standard 40% we usually get from Crown Royal, but IF you're producing a whisky for afficionados, it seems logical to release it at cask strength. This whisky isn't trying to appeal to the "Crown and Coke" crowd. I feel this should have been released at a higher proof. Despite that, this is still a good whisky. Interesting review! I've been thinking about buying a bottle of this for some time now...and it just went on sale in Ontario! So I've re-read your article. There seems to be a hint of conflict in how much you like this whisky...In your opinion, can this Blender's Select hang in the same league as the Northern Border Collection from Don Livermore? Thanks for reading. With all due respect to the Crown Royal team, I'd say no, this is not in the same league as the NBC from Wiser's/Corby. Dr Livermore's whiskies are more to my liking. And beyond the Northern Border Collection, there are still bottles of JP Wiser's Dissertation available in Ontario for 10 bucks more than Blender's Select. Now the Blender's Select IS a good whisky, it's just a bit too sweet for me, personally. I'd like more rye spice to balance out the sweetness.